My Entire Life is focused on improving productivity… in organization or in customer’s organization .. in family relations or in any non-profit organization.. I have learned few simple tricks for finishing task quickly with maximum Focus.. I am just sharing it as I feel that People are always complaining about unable to finish or achieve things they want.. ( obviously I have also not achieved all I wanted :)) though.. check it out.. Manager or senior person has to make one habit if you think you have found someone who can finish particular in 70-80% of how exactly you wanted to finish.. just pass that to him or her. Just release that load from your head. Delegate that deserving candidate and readjust your priority.. When you are dealing with people first thing is to have task list that you really want to perform and finish on particular day. Not every time you will be able to finish your to do list but one thing you will always feel that when you have to do list you can finish more compare to when you do not have task list .. things become messy if you do not prioritize. Another thing.. Everyday ask task list of key person what is his or her agenda for today? 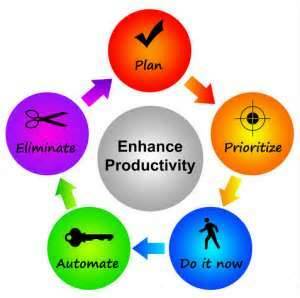 this will help them to prioritize work for whole day..
Avoid Multitasking for improving quality. If you are facing quality issue like unable to focus on things, unable to deliver good quality on your task.. you might be trying multitasking. Ex. having Chat windows open while discussing with your team mate.. it is just a waste of time for both person. As you are unable to give attention to any of them. ( most of the time I avoid doing these kind of multitasking) Seat calmly with your team member .. give them 5-10 min of dedicated time to understand queries and resolve problems.. We must Avoid Social Media while working.. People are using social media excessively but use of social media is affective overall productivity. there should be dedicated time for refreshment or social media.. it as a senior member I would not prefer to have facebook open all the time on my computer window.